If you have a large home and a lot of mobile devices online, you need a fast and powerful router. ASUS uses Quantenna’s 4×4 MIMO technology to boost the wireless signal so you can stream video and surf in every room. Let’s take a look at these two routers to see which one is the best for you. The ASUS RT-AC87R is normally sold at a certain big box store but is now available for purchase at online retailers too. It was designed and built with 4×4 MIMO technology. This means it has four wireless transmitters and four wireless receivers. Why does it matter how many transmitters and receivers it has? More of them means the router has a higher capacity to handle several devices online at the same time. This is important in today’s world where the average home has eight or more cell phones, tablets, and Internet-connected systems operating wirelessly at once. The speed of the RT-AC87R comes in part from the dual-band design. It has one radio for 2.4GHz connections and two radios for 5.0GHz connections. The chipset supports a/b/g/n/ac protocols. This means both older and newer mobile devices as well as smart devices like thermostats are supported. 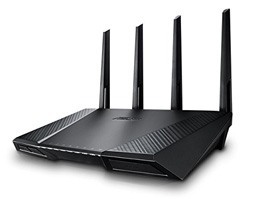 The RT-AC87R is classified as a Gigabit router because it has 4 Gigabit Ethernet ports for devices where you want to hardwire a connection for maximum speed and security. These might include your Smart TV, a game console, Apple TV or Roku, or a PC. Besides the Ethernet ports, this router has both a USB 2.0 and USB 3.0 ports. Hook up your printer to the 2.0 slot and an external hard drive or flash drive to the 3.0 spot. That way you can make use of the router’s software that makes it both a print server and a media server. Print over your home network without having to plug in a cable to your device. Browse files, make backups, and stream from your own home file server. If you have visitors, but you don’t want to give out your router password, let them use the Guest Network which puts them online without access to your home network. Use the Parental Controls to set limits on usage as well as blocking access to undesirable sites. If you’re concerned about threats online, ASUS includes Trend Micro’s protection software that blocks unwanted intrusions. It will alert you if you have an infected device on your network and scan for vulnerabilities in the router itself. Finally, ASUS offers a smartphone app that lets you monitor and control your router without logging into a PC. Plus, the AiCloud app lets you browse files on your home network and share them online even if you aren’t at home. Please note that if you find that you aren’t getting full 4×4 MIMO, you probably need to upgrade the firmware. One of the advantages of not buying technology as soon as it’s released is that you give the manufacturer time to work out the bugs. When this router was first available in 2014, the MIMO feature was buggy. That issue appears to be resolved. 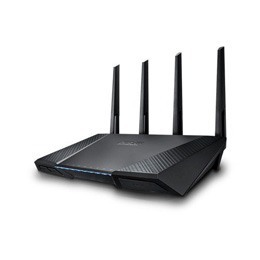 The ASUS RT-AC87U wireless router is exactly the same as the ASUS RT-AC87R router. The only difference between them is their product number. They both have the same hardware and software. ASUS uses the different product numbers to know where the router was sold. See the description of the RT-AC87R router above for an overview of why this router may be exactly what you want in your busy home. Since both the ASUS RT-AC87R and RT-AC87U are the same router with different product numbers for different retailers, you don’t need to choose between them. 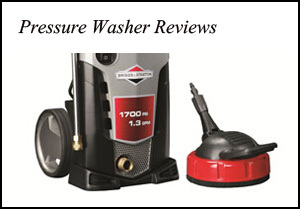 Get the one that has the best price and enjoy! Click here to purchase ASUS RT-AC87R on Amazon.com! Click here to purchase ASUS RT-AC87U on Amazon.com!